Substituting lemonade for Ginger ale is a total game-changer when it comes to this summertime favourite. The summer cup, known in some quarters as the fruit cup or by brand names like Pimm's, is a rightful staple of midsummer get-togethers. 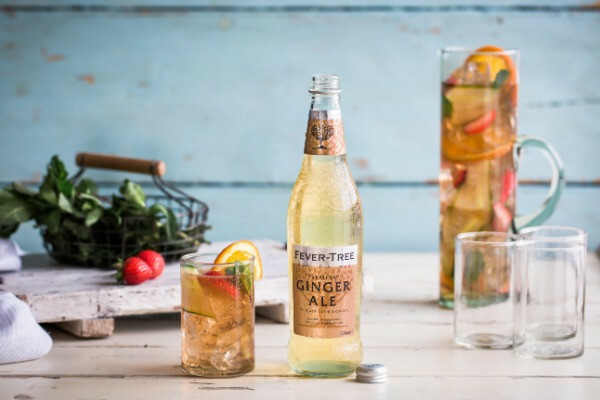 Various blends and combinations of herbs, spices, botanicals and fruits are added to a base of gin to create a flavour-packed punch drink that is as reminiscent of sunny days as the smell of freshy cut grass or the sound of a barbecue sizzling. Here's our recipe for the very best summer cup. There's a not inconsiderable amount of prep work involved here but the result is always worth it. Top and quarter your strawberries, slice your orange into half moons, peel your cucumber into long strips and pick the leaves off a bushy sprig of mint. In a large jug or pitcher, pour out five measures of summer cup then layer a few cubes of ice (the larger and fresher the better), before adding one or two pieces of each of the garnish elements. Continue until you nearly reach the top then gently pour over the Ginger Ale and serve.